What would a hacker want with my personal information some would wonder? The thought behind a hackers motives in most cases, is to just be able to hack the site that says it is “hack proof”. In other cases involving fraud, it is to obtain your personal information and either uses it for spamming or to sell it to scam artists. In any case, a site that is hacked has legal responsibilities one would think. If the information stolen by hackers included Social Security information or annual salary requirements as well as cell phone numbers and credit card or bank information, people are going to have major problems. This type of activity happens all the time, but we only hear about the big news companies in the spotlight. Now if a pet product site that is just starting out and is not a well-known name, they are not going to divulge that information and if they do, it will not make the news headlines. Everyone uses the Internet for one reason or another and if you are like most people, you may shop, look for work, play games or just browse. In any cases, you need to be careful how you supply your information. A secure site to display your information needs to contain encryption to protect your information if it is for buying and gaming as well. Anytime you give out personal information about yourself, you want to know your information is protected. 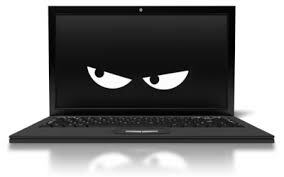 The best way to protect yourself some had said is, never give out personal information. Unfortunately, this is not always possible. If you want to shop, look for work, do some gaming or sign up for important newsletters and promotions, you have to supply the pertinent information. Therefore, using a little caution as to what sites you use is great. This however, is no reason to stop using the Internet. You just need to be aware of the threat and use good judgment when you visit a website. Some day we will see a system to track and stop hackers from stealing vital information. Companies who make the software and other software for security measures work hard every day to find new ways to stop a hacker. As the hacker gains more strength, software developers gain more security knowledge to stop them in their tracks.